Unelected, but expected to act as befits her “office,” the first lady has what Pat Nixon called “the hardest unpaid job in the world.” Michelle Obama championed military families with the program Joining Forces. Four decades earlier Pat Nixon traveled to Africa as the nation’s official representative. And nearly four decades before that, Lou Hoover took to the airwaves to solicit women's help in unemployment relief. Each first lady has, in her way, been intimately linked with the roles, rights, and responsibilities of American women. Pursuing this connection, First Ladies and American Women reveals how each first lady from Lou Henry Hoover to Michelle Obama has reflected and responded to trends that marked and unified her time. Jill Abraham Hummer divides her narrative into three distinct epochs. In the first, stretching from Lou Hoover to Jacqueline Kennedy, we see the advent of women's involvement in politics following women’s suffrage, as well as pressures on family stability during depression, war, and postwar uncertainty. Next comes the second wave of the feminist movement, from Lady Bird Johnson’s tenure through Rosalyn Carter’s, when equality and the politics of the personal issues prevailed. And finally we enter the charged political and partisan environment over women’s rights and the politics of motherhood in the wake of the conservative backlash against feminism after 1980, from Nancy Reagan to Michelle Obama. 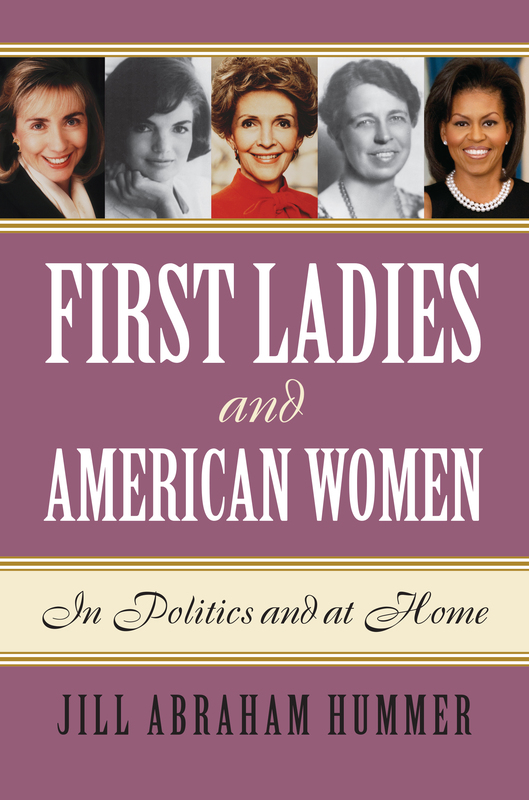 Throughout, Hummer explores how background, personality, ambitions, and her relationship to the president shaped each first lady's response to women in society and to the broader political context in which each administration functioned—and how, in turn, these singular responses reflect the changing role of women in American society over nearly a century. Jill Abraham Hummer is associate professor of political science at Wilson College, Chambersburg, Pennsylvania. Her work has appeared in the Journal of Political Science Education, White House Studies, Encyclopedia of the Supreme Court, The Hill newspaper, and other publications.